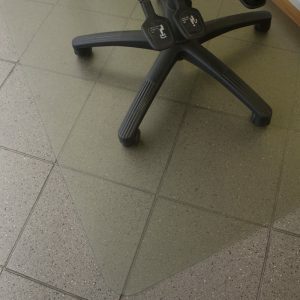 Why is stair nosing required on stairs? 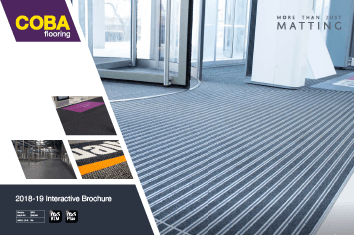 GRP Stair Nosing can make a real difference when it comes to reducing slip hazards and generally increasing safety underfoot on industrial or public stairways. Stair nosing can be used for interior or exterior applications. 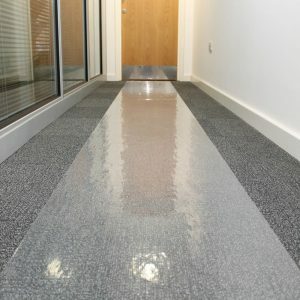 Our range has been designed with a hard wearing gritty surface to help prevent slips on stairs, the chamfered back edge also provides additional safety. 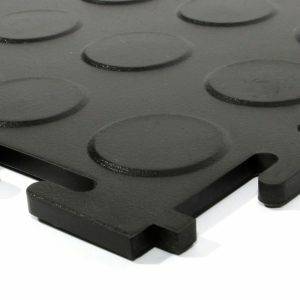 The surface is made from silicon carbide, and provides the stair nosing with superior underfoot grip properties, even in wet, oily, or icy conditions. The HSE reports thousands of slips and trips in the work place and public spaces each year. They recommend taking precautions at the start of the design process for a new building. See our 5 top tips to help prevent slips on outdoor stairs and steps. 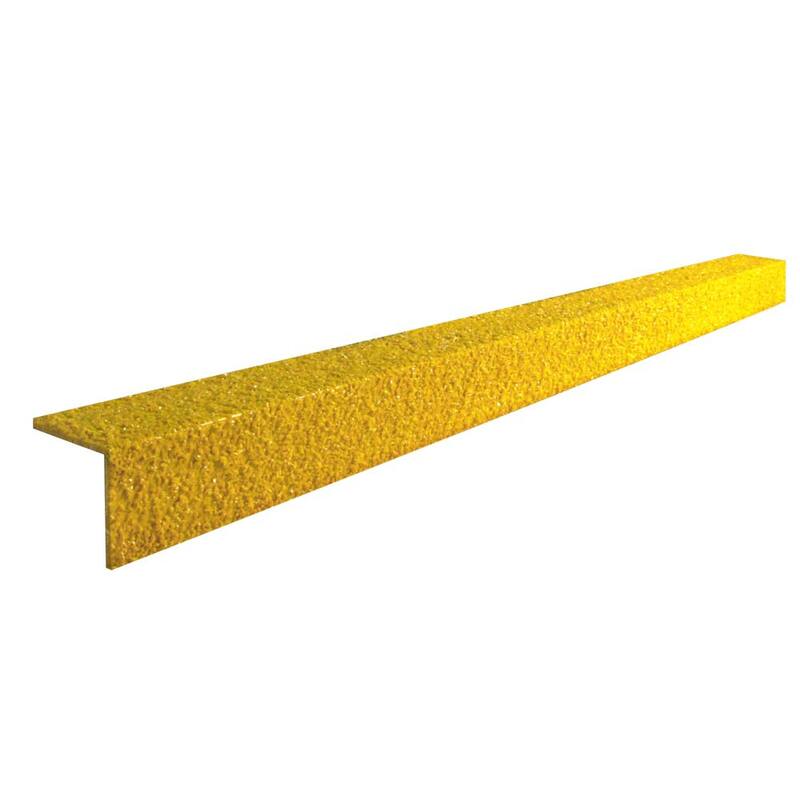 GRP Stair Nosing is suitable for existing or new-build steps, and available in yellow which meets DDA visibility requirements. 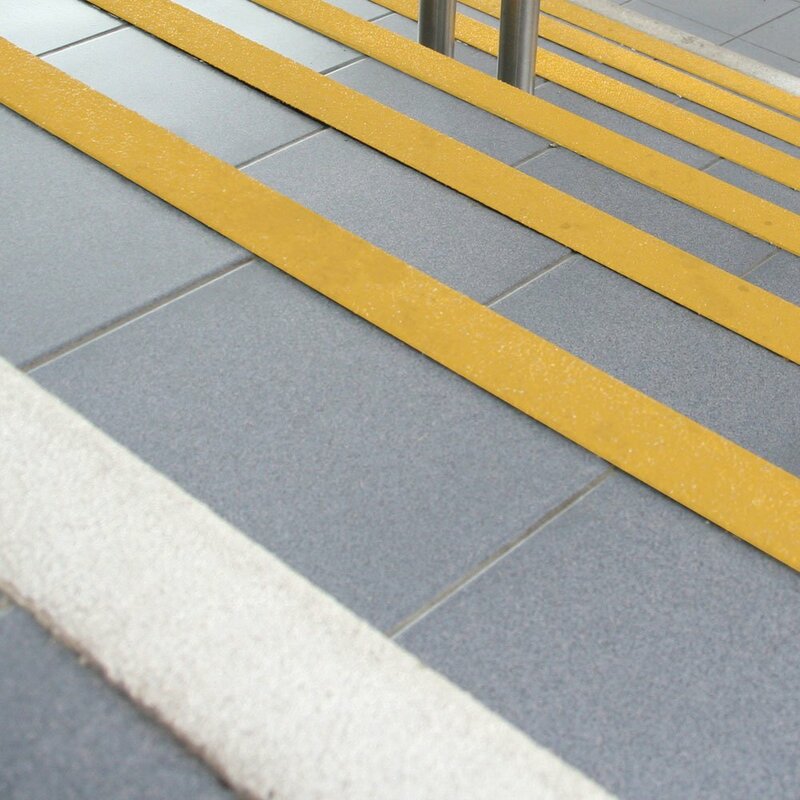 The yellow colour is very visible and defines the edge of steps in low level light, such as dark mornings and evenings during Autumn and Winter. 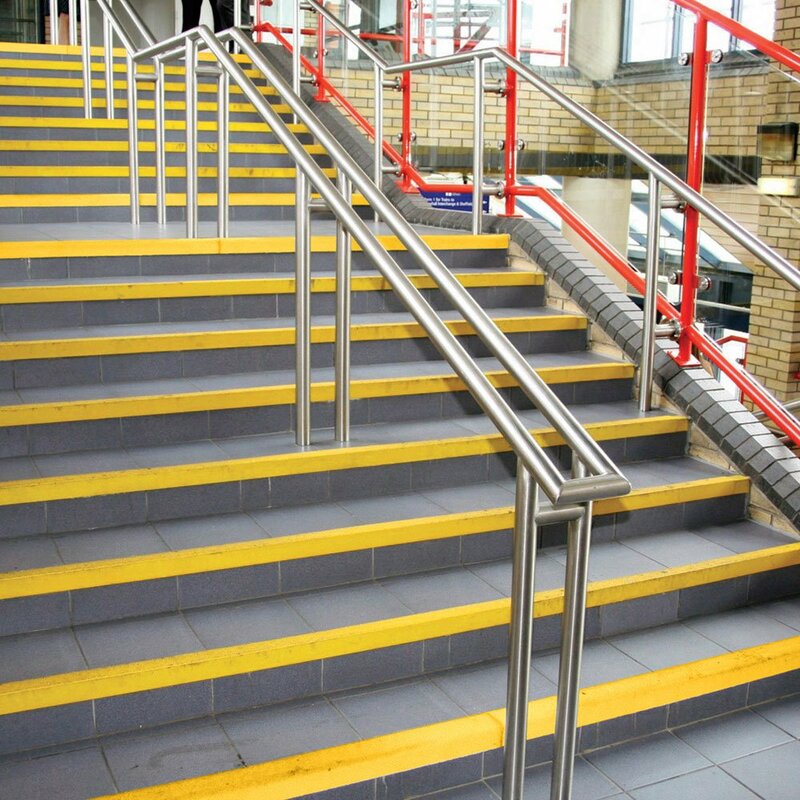 The stair nosings are robust, durable and easy to install. 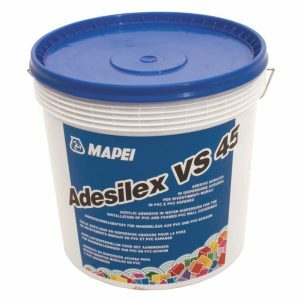 See our full range of GRP Flooring products.